Ideal for those with not enough space to install more cubicles or those who prefer to visit the cabin alone. HSI10 area has reason to only 1 sq. m.
Requirements for electricity: A socket 13, 230 B. If you like to lie during the session, the cabin was made for you. This triple rectangular cabin accommodates three people, but with a width of 182 cm, it is also convenient to lie inside. Two large windows and glass doors create a feeling of space inside, while not violating privacy. Embodying a classic European design, the cabin is different amazing capacity of four people. Two large windows on the sides are made of glass, the lower part of which is covered with engraved simulating Haze, in order to conceal the tops of benches and add elegance. Several smaller in size than HSI80, HSI70 combines excellent design and incredible efficiency in the use of space. For its pentagonal shape and size and all grounds 132x132 cm, the cabin can be installed almost anywhere. Ideal for two or three people. Our most luxurious cabin HSI80 is intended for installation in the corner of the room. Three front wall with four panoramic windows is as beautiful as far functional cabin. Four local seat in the L-shaped ideal for a friendly conversation with friends or family members. Panels CarbonFlex ™, integrated into the wall and bottom of benches, have the largest area of infrared radiation in this market segment, which provides the most mild heat evenly distributed on all sides (no cold and hot zones). CarbonFlex ™ heating system has little time heating. Finishing the cab done at the factory of the Canadian hemloka and meets the standards for a furniture. All models are also available from the Canadian red cedar. Front panel biodegradiruemym processed material - for a better appearance and ease of maintenance. Shelf from Canada hemloka or cedar to choose from. Paul from Canada hemloka or cedar to choose from. The door luxury of hemloka with handrails, a large tempered glass. All windows also are made of tempered glass safe. The back shelves along the perimeter, designed for maximum comfort. The digital control panel, and ustanovlennayasnaruzhi inside. Management: to set the phone, lights inside, the light from the outside, tsvetoterapiya, time and temperature. AM / FM / CD - stereo, with its unique system of drop down - advanced from the ceiling system, equipped with remote control. High-quality, heat-stereoakustika installed in the ceiling. Low point lamps installed in the ceiling, as well as in the visor outside the cab. Quick assembling without special tools and the installation of super lightweight (less than 5 minutes for most models). All pre-laid cables, connectors must simply connect. All cabins can be connected to a normal household outlet in the 220 with earthing (no need to cause an electrician, just plug câble). The popularity of infrared cabins explained simply - ease of installation, operation and striking salutary effect, achieved in a short period of time. But despite the fact that infrared technology emerged relatively recently (much later bathhouse), no progress on the ground, and we can observe its development in real time. Initially, infrared radiation spectrum are required by conventional TENov with reflectors (using an alloy inkalloy). They radiate heat in a fairly wide range, require heating to high temperatures, and thus their efficiency is low. In addition, such emitters give uneven distribution of heat, there are certain areas you feel strong heat, while in others the reverse cool ... Not the most pleasant feelings ... The next innovation touched spectrum of radiation - he approached the so-called life-rays, and they were ceramic emitters. Thus, the increased efficiency of plant and shifted spectrum of long waves in the area. In doing so, unfortunately, their weakness associated with the uneven distribution of heat fields, remained. It does not matter whether you are using infrared cabin to relax after a day at work, or to reduce pain in muscles and joints after training, or to clear the organism from the slag, either before going to bed to enjoy more profound, restores sleep, let infrared booths HELO do that for you. The positive effects of the infrared sauna therapy can not be overemphasized. Take joy and make investments in their health - that not only pleasure but also helpful for you. Infrared Cabin "Premium Line" from HELO - this new generation cabin, using recent advances organic carboxylic technology - designed to give you an absolute pleasure. Why HELO? Founded in 1919, Saunatec has become the largest company in the world through innovation, product development and uncompromising commitment to quality. HELO - brand companies Saunatec, known throughout the world. By studying the medical literature, you find that physicians believe that a sauna can be an important component of personal wellness program. The impact on the health of saunas well documented. 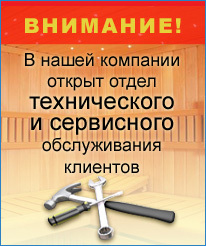 Regular visits to the sauna - and associated with this process sweating - will help you to "cleanse the body of slag", "reduce pain in muscles and joints" and simply "relax". Such benefits physically, as well as reducing stress and tension simplify the decision to purchase a sauna, because in the sauna, you not only feel good, sauna as well affects your health. Visiting the cabin infrared body temperature begins to rise. A blood vessels expand, causing an increase in blood circulation. As warm blood is transferred from the surface of the skin, and also as the body temperature, central nervous system starts sending signals to millions potovym iron, covering the body. In turn, these sweat glands begin to develop. They do it in order to cool the body and sweat consists mainly of water. But deep sweating in the infrared cabin can help reduce the content of lead, copper, zinc, nickel and mercury in the body - the most common toxins that are normally absorbed organism from the environment. At the same time cleanses the skin, and dead cells replaced by new, save your skin in a beautiful and healthy way. Heat infrared body temperature increases the cabin, causing the expansion of blood vessels and increased blood circulation. Increased blood circulation in turn accelerates the natural processes of recovery and restoration of the body - eliminates the pain and speeds up the process of healing cuts and hematomas. Using infrared booths after physical exertion allows muscles to relax and reduce the influence of lactic acid and other toxins. Infrared cabins are ideal for athletes as a "warming room" for the warm front lessons to progret muscles and improve the elasticity that helps prevent injury. It is also ideal for pre-up in physical therapy and massage or relaxation at the end of busy days. Infrared heat is also ideal for recovery of muscles and joints after training. Infrared cabins HELO give soothing heat, the exposure of the human body directly. They require little or no time for preliminary warming, which saves electricity. Long-wavelength infrared radiation is deeply sweat - for cleaning and the withdrawal of toxins, as well as for burning calories. Using the latest Japanese technology in the field of infrared radiation, the panel Saunatec CarbonFlex ™ have the largest area of heating in comparison with any system of infrared emitters, traditionally used that offers maximum soft warmth. Saunatec's CarbonFlex ™ work better any other systems, infrared radiation from almost ideal wavelength in the region of 8.4-9.4 microns (so-called "rays of life" are within the 7-14 micron). This ensures optimal wavelength deeper penetration long infrared radiation, which in turn enhances the process of withdrawal of toxins, training the cardiovascular system, as well as reduces pain in the muscles and beginning sustavah.